I was asked to pass the following information along to you. I decided to do so because you may want to know about one of the newest CAS calculator models and because their follow-up offer for attending the summer institute is so generous. If your school and students need help getting calculators and/or you want to keep up with the latest trends, you may be interested in looking into this. The calculator is the new Hewlett-Packard HP Prime. It is a CAS calculator with really good graphing features. HP is offering the HP Prime AP Summer Institute Program, a 3-Day Institute this summer in either Statistics or Calculus with expert teacher trainers to introduce their new Mathematics Solution, the HP Prime Wireless Classroom. Following the Summer Institute, teachers who attended will receive a donated HP Prime Wireless Classroom Kit for their school with 30 HP Prime Graphing Calculators and the HP Prime Wireless Kit (a $5,000 value!). The institute is an opportunity to improve your knowledge of teaching mathematics with a technology that makes learning intuitive for students, and receive the technology to keep for classroom use. Graphing calculators first came on the market around 1989. In the early 1990s after it was announced that graphing calculators would be required on the AP Calculus exams starting in 1995, there were a series of workshops following the AP calculus reading, then at Clemson University. 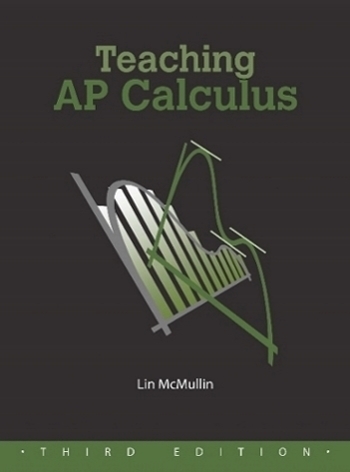 They were called the Technology Intensive Calculus for Advanced Placement conference or TICAP. Half the readers were invited to stay after the reading for the conference. The next year the other half were invited, and others the third year. Casio, Texas Instruments, Hewlett-Packard, and Sharpe all contributed and provided their calculators to the participants. The Texas Instrument calculators (then the TI-81 and TI-82) emerged the most popular and have since been the most popular in the United States. TI to their credit makes a good product and provided, and still provides, lots of help for teachers in the form of print material, programs for the calculators, workshops, and meetings. They have developed ways to connect the classroom’s calculators to the teacher’s computer. Other manufacturers have done the same, but not on TI’s scale. TI has made improvements in their calculators and other manufacturers have made newer and improved machines as well. While similar in functionality, I think the Casio PRIZM to be a bit better than the latest TI-84 model; it is also a bit less expensive. TI’s ‘Nspire line is an excellent CAS machine. Casio also has several CAS calculators and HP has now come out with the new HP Prime model (mentioned above). There are others. TI has a whopping 92% market share with Casio far behind at 7%. While their machines are excellent, Casio and HP are playing catch-up and have a long way to go. If you are just starting out or have limited funds for your class, you might consider a different brand. I often thing the main problem is that the buttons are all in the wrong place! That is, the keyboards are different than the TIs we all learned on. They are different for you, but students who have never learned the old way will have no trouble with the keyboards. You won’t either – just sit down with the guide-book for a couple of hours and you’ll become an expert (or let the kids help you!). You can also use the manufacturer’s online instructions, or go to a summer institute such as HP’s mentioned above. Now comes the real heresy. Graphing calculators don’t graph all that well. Their screens are small and often crowded. Tablet’s such as an iPad, or computers do a much better job. (For example, TI-Nspire’s operating system is available as an iPad app that is easy to use and much easier to see (okay maybe I’m getting old and my eyes are not what they once were). Still the many other graphing and mathematics related apps available are fabulous. Graphing, statistics and geometry apps abound and will only increase in number and functionality. This is the future. The reason graphing calculators are still here is because the Educational Testing Service, for good reason, will not let students use any device with a QWERTY keyboard on their exams including the Advanced Placement exams. The primary reason is that they are afraid that students will copy the secure questions using the QWERTY keyboards on iPads and computers. For some reason, students apparently cannot figure out how to do this with the alphabetic keyboards on graphing calculators. (Or as Dan Kennedy once quipped, there is nothing wrong with the old method of writing them on your cuff.) Other more important reasons tablets are not allowed include being able to photograph the questions, get information and help through the internet during the exams, or communicating with others in or out of class with tweets and instant messages. These are real problems that need to be considered, but I cannot believe a work-around is not possible. It must be possible to make an app that will allow only the use of approved apps during exams. After all they have done that for graphing calculators. If technology is good for students learn mathematics – and I believe it is – then students should have the best available technology. End of sermon. Take a moment or more to consider the new and improved calculators. I wrote the paragraphs above a few days ago. This morning the new operating system 8.1.3 for iPad became available. They have a new feature for “educational standardized testing.” You can turn it on under Settings > Accessibility > Guided Access. Once turned on you open any app, triple-click the home button, and the controls for that one app appear on the screen. The individual settings are slightly different for each app. You may turn off the keyboard, turn off the touch screen, or disable the dictionary. On apps with their own buttons you can turn off any or all of the buttons by circling them. A time limit may also be set. This is a good start, but it has a long way to go before it can be used in group settings. Stay tuned for updates.